How did the image of a Marxist revolutionary end up becoming the most commercial photograph in the world? Commonly spotted emblazoned on the chests of left-leaning, Camden Market stoner types, it’s one of popular culture’s greatest ironies that a photograph of someone who gave up his life for communism has made so many companies so much money – type ‘Che Guevara’ into eBay, and you get a staggering 26,000 results, from flags to iPhone cases, cigarette lighters and, perhaps most brilliantly of all, wallets. Of course, there are also the t-shirts, thousands of them, having been spotted on everyone from Jay Z to Prince Harry. But why did a portrait of the deeply controversial Guevara become so iconic? It’s a story of actual revolution, counterculture and, ultimately, the ability of global consumerism to conquer all (sorry, Che). The famous photograph, popularly known as Guerrillero Heroico, was taken on March 5, 1960 by Cuban photographer Alberto Korda – less than 18 months after Cuba had been established as a communist state by Fidel Castro following five years of conflict. The occasion was a funeral service, where Guevara was in the company not only of close ally Castro but also Simone de Beauvoir and Jean Paul Sartre – the French intellectuals had chosen to visit the country during what Sartre dubbed the “honeymoon of the revolution”. Korda’s image was originally published in the movement’s newspaper, Revolución, where it may have stayed forgotten by history, had he not allowed an Italian publisher to use it in 1967. The photographer eschewed any payment for it, calling the publisher a “friend of the revolution” – and never received royalties for the image. It’s not clear how they got a hold of it, but the photo appeared in influential magazine Paris Match in 1967 while Guevara was fighting for communism in Bolivia. However, it was his execution in October of the same year which gave the photograph a life of its own. Irish artist Jim Fitzpatrick, who once had a chance meeting with Guevara in Ireland, was moved by his death to create a work that featured Korda’s photograph on a red background. 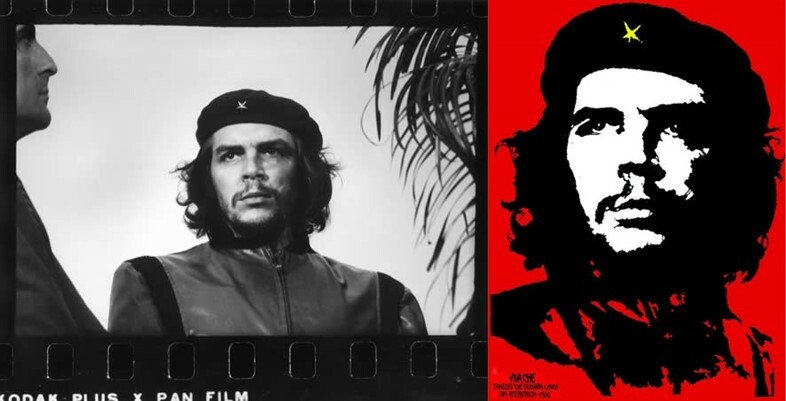 “I created this, now iconic, image in 1968 in a personal protest to the manner of his death and am proud of what it has become,” Fitzpatrick has written, also admitting to adding his own twist to Korda’s photograph – an ‘F’ on Guevara’s shoulder. The same year, the photograph was reportedly used by French students in the historic 1968 protests, as well as by a Dutch anarchist group (who claimed they got it from Sartre) and by art forger Gerard Malanga. He sold a fake Warhol painting of it to a gallery in Rome (complete with Fitzpatrick’s ‘F’), which Warhol himself authenticated so he would get the money from its sale. 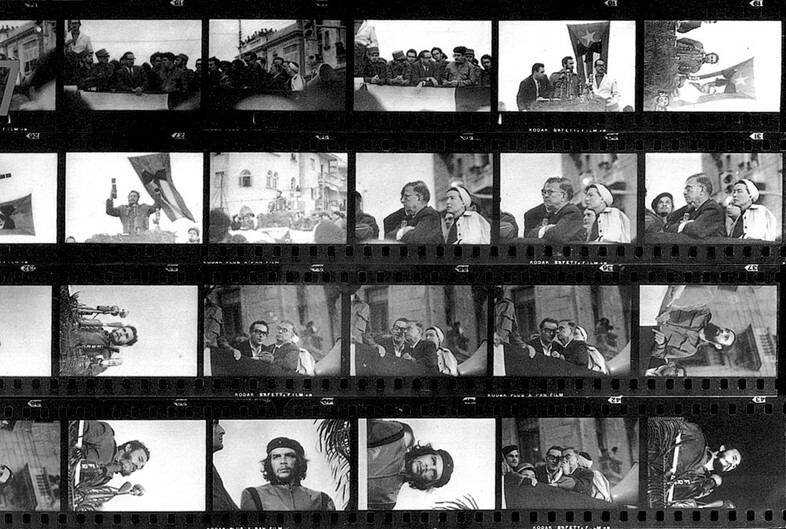 Che’s image would go on to explode in popularity with a kind of pre-internet virality, becoming increasingly distant from its original context. As Trisha Ziff, producer of documentary Chevolution, put it, “We live in a culture today where understanding symbols doesn’t necessarily matter.” This feeling was picked up on by artist Shepard Fairey, who, by 1997, was tapping into the way the real meaning behind Korda’s image had “already been really exploited to the point that (it had) become somewhat meaningless”, creating a version which featured Andre the Giant’s face instead of Guevara’s. As Bob Marley’s face has ended up on an infinite amount of weed-related memorabilia, turning a legacy of music and anti-capitalist politics into stoner trinkets, in the years since the 1970s Guevara’s image has come to embody a style dubbed ‘terrorist chic’. 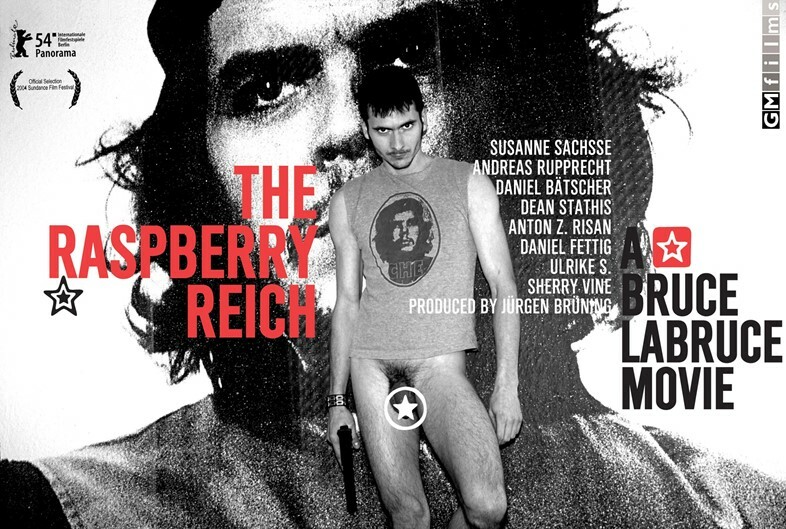 In the words of director Bruce LaBruce, whose 2004 film about a bumbling group of modern revolutionaries The Raspberry Reich features Che’s face adorning clothing and a giant mural – terrorist chic is “when somebody wears a Che Guevara t-shirt and they have absolutely no idea who Che Guevara is – emptying out the signifiers of radicalism and using them purely for fashion”. Shifting his image from one of political meaning to one of fashion, Korda’s portrait has been sold on products by companies including Gap, Urban Outfitters, Belstaff, Vans, and apparently also Louis Vuitton – Elizabeth Hurley is reported to have been spotted with one of the house’s handbags featuring Guevara’s face. Chanel’s recent Cuba cruise show saw models don sequinned black berets, Che’s star replaced by the house’s ‘CC’ logo. 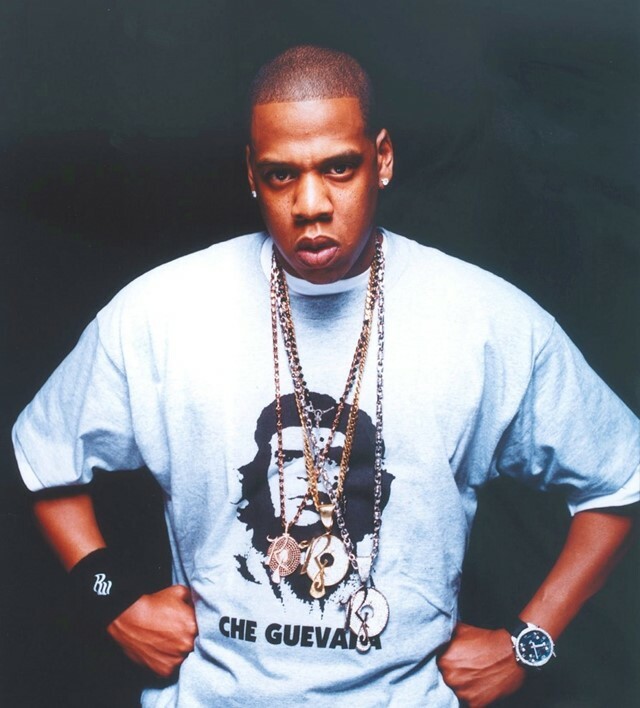 But the most ubiquitous of all is the humble t-shirt – worn by the likes of Prince Harry, Johnny Depp and Jay Z, who raps on 2003’s Public Service Announcement, “I’m like Che Guevara with bling on”. With tongue-in-cheek contributions from the likes of Stüssy and Fuct, streetwear brands weren’t immune to the Che effect either, and, by 2006, the image was so ubiquitous that the V&A ran an exhibition of items it appeared on. Even after what seems to have been an early-to-mid-00s heyday, Guevara’s image remains firmly in the public consciousness – although it’s safe to say stepping out in a Che Guevara t-shirt today would be seen as passé, which probably means it’s due a comeback. The fundamental irony of its use in fashion hasn’t been lost on everyone – The Onion sold a t-shirt of Che Guevara wearing a Che Guevara t-shirt, and it’s been the subject of memes and even costumes. 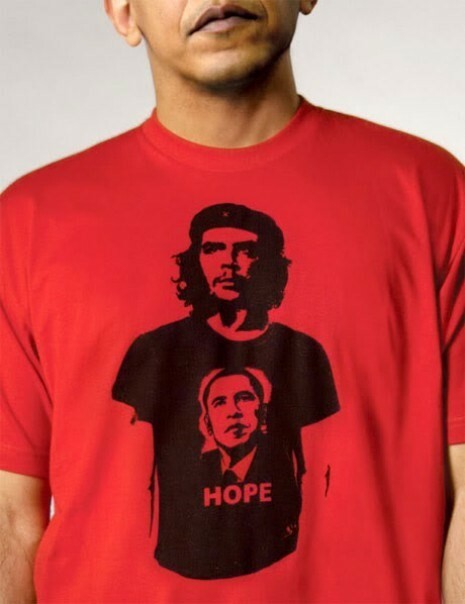 The influence of Guerrillero Heroico can also be read in the 2008 Obama ‘Hope’ poster created by Fairey, as well as countless parody spin-offs featuring the likes of leftist politicians like Jeremy Corbyn and Bernie Sanders. In 2012, Urban Outfitters stopped carrying their Guevara-fronted merchandise after an open letter on behalf of The Human Rights Foundation called their attention to his “bloody and anti-democratic legacy” – namely, that he oversaw a prison where enemies of the newly established state were executed, and that he “represents tyranny and repression for the millions of people who have suffered under communism.” Of course, like many aspects of his life, how far you regard him as a terrorist or a freedom fighter is up for debate. Ultimately, it’s easy to romanticise martyrs – especially when they die not only fighting but young, handsome and magnetic, and their mythologies get a helping hand from Hollywood with films like The Motorcycle Diaries. “What explains the Che mania?” wrote former guerrilla and friend of Guevara Orlando Borrego in a 1997 issue of Newsweek Magazine. “In a world of ferocious competition and consumerism, some element of humanity is still looking for a hero with values.” But, like buying your teen rebellion at Hot Topic or a ‘feminist’ t-shirt from a high-street store that employs female sweatshop labour, those values are often corrupted – capitalism will always find a way to sell protest back to you.